Bakers Timber Buildings specialise in manufacturing high-end, custom-made garden rooms to meet all manner of needs. 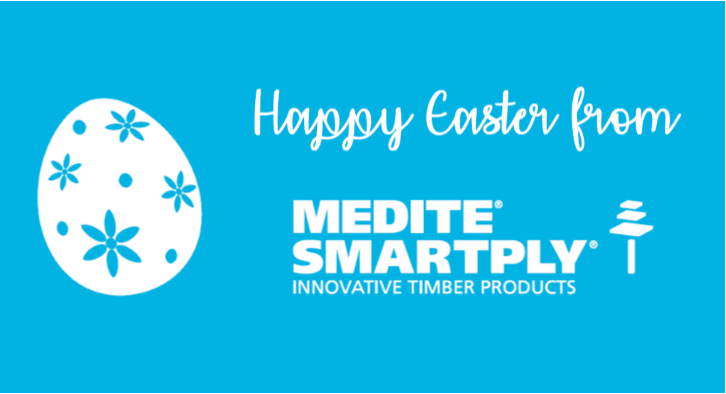 The buildings can be used all year-round thanks to their insulation and durability – qualities they gain from two MEDITE MDF solutions: MEDITE TRICOYA EXTREME (MTX) and MEDITE MR. Creating such high-quality timber buildings in the outdoor environment presents a number of challenges. Shifts in temperature and moisture levels require timber materials to have a robust core strength and durability. Equally, achieving a premium quality finish to the buildings requires materials with superior machining qualities and a smooth surface finish. Bakers Timber Buildings initially came across MEDITE SMARTPLY after using MEDITE MR for the internal walls and ceilings of their executive collection of garden rooms. After testing our MTX and being impressed with the results, the company began using it for the external cladding and trims of their buildings as well. MEDITE MR and MTX help maintain the structural integrity of the buildings, which are subject to temperature variations and seasonal changes. For the internal fit out, MEDITE MR is ideal to resist condensation build up from changing outdoor temperatures and internal heating systems. While for the cladding, MTX gives a durable protection against the harshest of weather conditions. The design and machining flexibility of MEDITE MR MDF and its smooth surface texture were also key reasons for its specification. “Painting timber will look rustic and ‘beach-shack-like’ very quickly,” said Martin, Managing Director of Bakers Timber Buildings. “When looking for an internal product to paint, MEDITE products were an obvious choice and the MR gave us added peace of mind in terms of moisture resistance. “The MTX paints equally well for the exteriors and of course gives a guarantee of durability that I can pass on to my clients with confidence. It’s allowed us to offer a full 10-year guarantee on our buildings with almost no maintenance, which we believe to be unique to Bakers,” continues Martin. Garden rooms can make both a beautiful and practical addition to your outdoor space. They provide a great way to make the most of your garden and swimming pool in the warmer months, but can just as well be used in the winter as an office space, external gym, games room or simply a place to escape and relax. Matchboard Ltd, in Littlehampton, West Sussex, who machines the MEDITE products for Bakers Timber Buildings, can machine the MTX to create a Vertical V-groove design in 100 or 200 centres, or a traditional shiplap look. The addition of all the facias and external trims in MTX along with thoughtful colour selection to match the surrounding landscape gives the buildings a contemporary finish while still being honest about their heritage and values. Find out more on Bakers Timber Buildings here http://www.bakerstimber.co.uk/. Find out more on Matchboard here: http://www.match-board.co.uk/.